The nation is in a watershed moment that will decide the future of health care in the U.S. following Aetna's announcement earlier this week that it will dramatically scale back its participation in the Affordable Care Act, U.S. Rep. Renee Ellmers (R-N.C.) said during a recent interview. "I think that is significant, and I think the greater discussion has to be about what this means for the future of Obamacare," Ellmers told Patient Daily during a telephone interview. "I think this is a bellwether moment, that it is showing, as we have been stating for so long, this is a failure for the American people and a failure for good health care and good health care coverage in this country. And there definitely needs to be a different plan put in place." Aetna said Monday that it will stop selling individual policies on the Obamacare exchanges in 11 of the 15 states where the company currently participates. The insurance giant faces hundreds of millions of dollars in losses because of its involvement in the Affordable Care Act, which has led to the business decision to pull out, Aetna's Chairman CEO Mark Bertolini said in a press release announcing the decision earlier this week. "Following a thorough business review and in light of a second-quarter pretax loss of $200 million and total pretax losses of more than $430 million since January 2014 in our individual products, we have decided to reduce our individual public exchange presence in 2017, which will limit our financial exposure moving forward," Bertolini said. "More than 40 payers of various sizes have similarly chosen to stop selling plans in one or more rating areas in the individual public exchanges over the 2015 and 2016 plan years, collectively exiting hundreds of rating areas in more than 30 states. As a strong supporter of public exchanges as a means to meet the needs of the uninsured, we regret having to make this decision." While that sounds like strictly business, a July 5 letter from Bertolini to the Justice Department, obtained by Huffington Post reporters, showed that the company is tying its decision to proposed insurance company mergers. 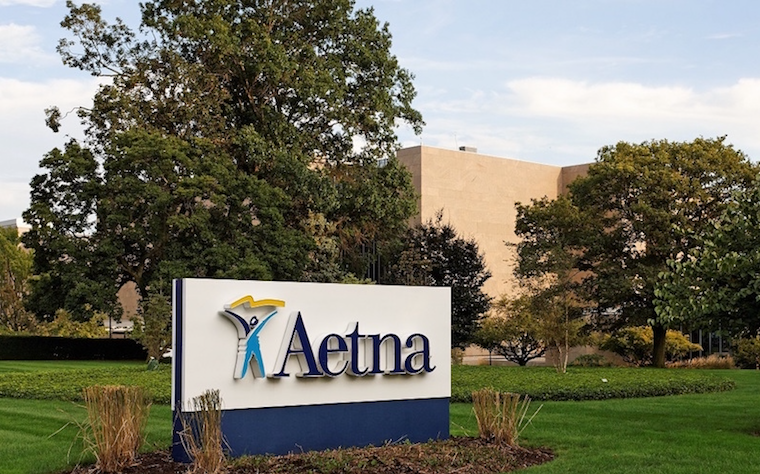 Whatever all the reasons may be, Aetna is expected to pull out of large states, including North Carolina, Pennsylvania and Florida, but will continue to sell plans on state exchanges in Iowa, Delaware, Nebraska and Virginia. Aetna was not the first to blame Obamacare for its losses, Ellmers said. "We've seen Blue Cross and Blue Shield has talked about the losses that they've inferred," she said. "United Healthcare has also said the same thing and now Aetna being, again, one of the largest providers of Obamacare exchange plans is now saying the same thing. How many more hits can Obamacare take and still remain in place. That, I think, is the real question." Those hits are being keenly felt, Ellmers said, adding that Aetna's announcement has sent shockwaves through her constituents in North Carolina. "As far as our constituents that have Aetna health care plans, certainly," she said. "There are just going to be countless numbers of individuals across the country, obviously, that will be affected by this." Of even greater importance will be the role played by November's general election, Ellmers said. "I think, there again, as far as the future of Obamacare and the future of health care coverage in this country is really going to come down to what happens in this presidential election," she said. "I think you have two candidates who have completely different views of how health care should be and should continue into the future." Ellmers recalled Democrat presidential hopeful Hillary Clinton's time in the 1980s, when she was First Lady and advocated a health care plan that is very similar to Obamacare. "And that failed at that time," Ellmers said. "And then, of course, President Obama took it back up again almost immediately after being elected. And, so, I see Hillary Clinton continuing on with Obamacare and really, it being a failing system, it will only lead to a single-payer national health care system, a socialized health care system." Ellmers said she finds that completely unacceptable. "And I believe Donald Trump, of course, would do as he has said he will do, to repeal and replace Obamacare," she said. Ellmers also referred to a health care plan, the Patient's Choice Act, proposed earlier this summer by U.S. House Speaker Paul Ryan, and said she thinks Congress has its part to play. "I think that we in Congress, with the plan that we have already proposed with speaker Ryan, we could move to a better solution to health care coverage in this country," she said. "I believe that's the future, if we're going to save health care coverage for every American and make health care coverage truly affordable for every American but, at the same time, continue to provide good quality health care." In that future, Ellmers said she believed there is room for bipartisan support, though she could not name any Democrats ready to bolt across the aisle over health care reform. "I can't say that I know of any Democrats; I've not had many conversations with any of my Democrat colleagues where they have said, 'Look, I'm just waiting for the right moment for us to move forward with changes'," she said. "I have not had that conversation and, you know, my Democrat colleagues are very good at that. They stick together through thick and thin, unlike us in the Republican side." Ellmers also warned that more bad news may be coming Nov. 1, when additional rate increases are expected to be announced. "And, there again, it comes to the question of how much more are the American people going to take or how much can they take of these insurance premium increases," she said.